RYANAIR AVIATIONS MOST EXPLOITED AIRLINE WORKFORCE .We are in no way affiliated with Ryanair. 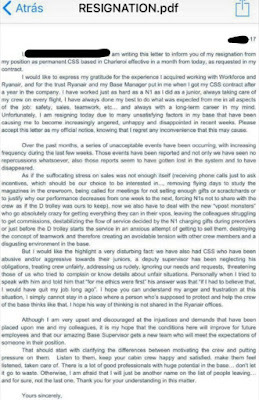 : RYANAIR CABIN CREW RESIGNATION. .
RYANAIR CABIN CREW RESIGNATION. .
Not only have Pilots had enough.Contracted Ryanair Cabin Crew has had enough and has given in their RESIGNATION letter to Ryanair. 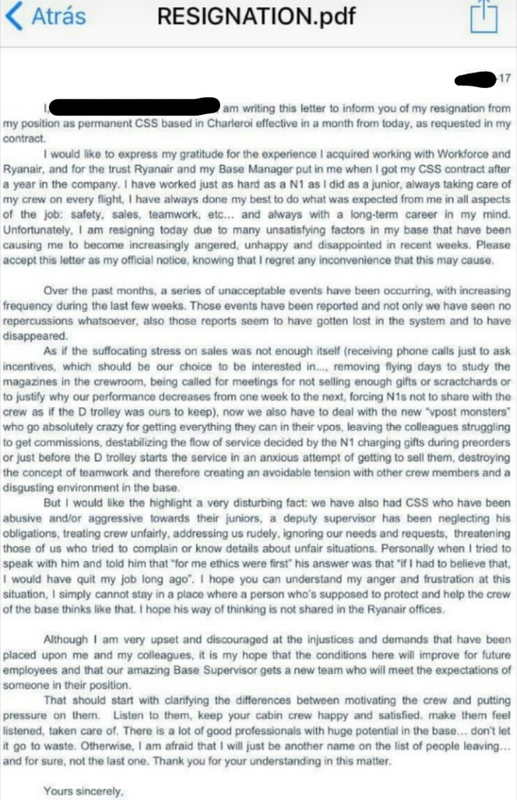 RYANAIR CABIN CREW JOBS "NO THANKS"..
WHY RYANAIRDONTCARE CAMPAIGN WAS SET UP.